‘The joint security teams have cut off all exit areas on the border between Uganda and the DRC in search of the victims,’ the statement added, warning the group may still be in the park. Police said the kidnapping appeared financially motivated, since the group quickly made a demand of $500,000 (Shs1.9bn) using Endecott’s mobile. 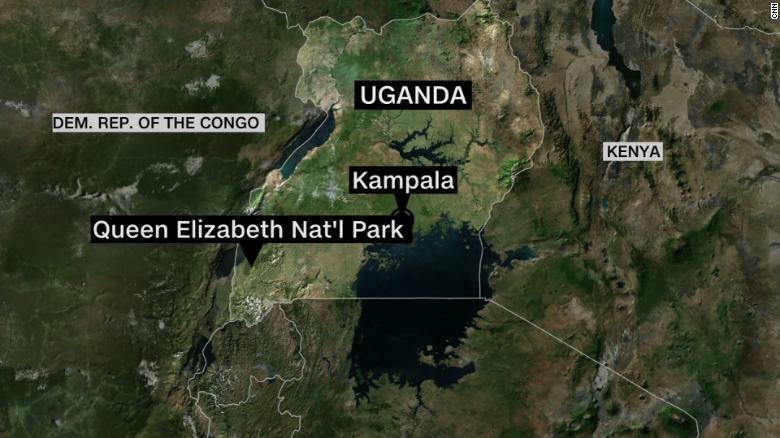 The park, Uganda’s most visited, is located about 250 miles southwest of the capital Kampala, near the border with the Democratic Republic of Congo (DRC), which is home to many fragmented rebel groups. Bwindi begins about 12 miles south of Queen Elizabeth National Park, where tourists flock to see lions, hippos, crocodiles, chimpanzees and other African wildlife in an area of lakes, savannah, forests and swamps.